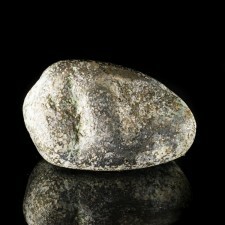 This is a fine crystal of the very rare aluminum borate mineral jeremejevite. The 19mm crystal is ge.. 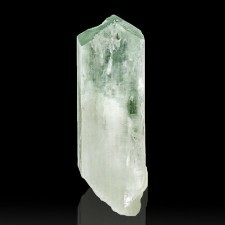 The light, minty green color of this specimen of hiddenite is delightful. 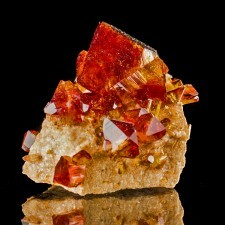 The crystal is 1.8" long, ..
You will be amazed by the rich, saturated, crimson red color of this fine example of arkanite. .. 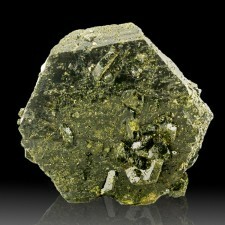 The yellow (with a hint of green) adamite crystals on this fine specimen sparkle and glisten in the .. 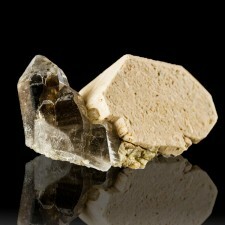 The Minerva Mine was a classic source for well-crystallized specimens of fluorite with barite, and t.. 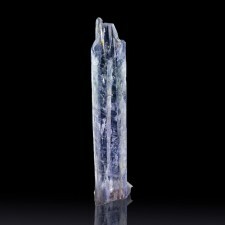 The natrolite from this locality in Argentina is arguably the best in the world. This complex .. 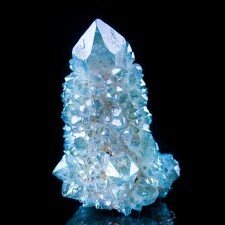 Here is a terminated single crystal of spirit aqua aura quartz in a luminous turquoise blue color. T.. This is a fine specimen of smoky quartz from Moat Mountain. It is part of the Ernie Schlichter colle.. 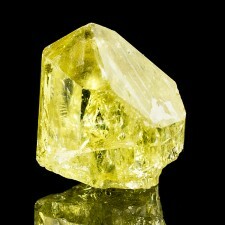 Here is a superb single crystal of lemon yellow apatite. The color is very bright, and the crystal h.. 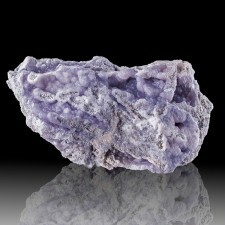 The color on this specimen of smithsonite is a pale lilac purple, and the bubbly botryoidal form is .. 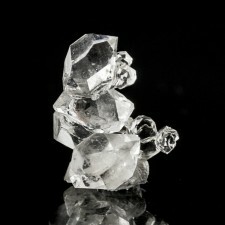 This is a Herkimer diamond crystal cluster from the Hickory Hill Diggings in Fonda, NY made up of ge.. 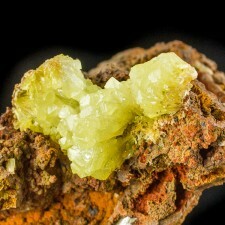 This specimen comes from the May, 2011 unearthing of tabular epidote crystals at the Raywoo Mine, a .. 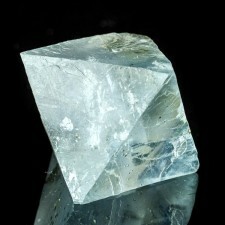 This is a fine fluorite octahedron from the Denton Mine. 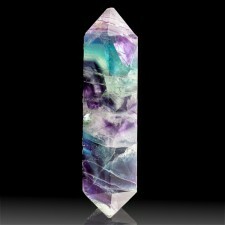 The fluorite has been cleaved along its nat.. 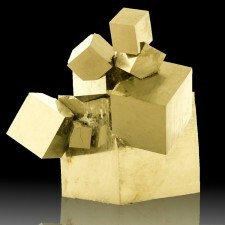 Here is an amazing specimen that is a tight cluster of 12 near-perfect, interlocking pyrite cubes to.. 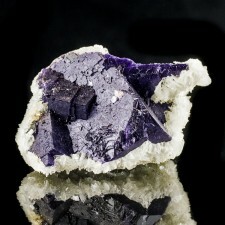 Here is a fine cubic fluorite specimen from a classic locality: the world-famous Minerva #1 Mine. Th.. 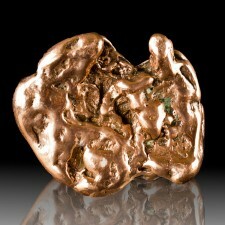 This is a copper nugget from Michigan that is a bright-as-a-new-penny red-orange copper color. 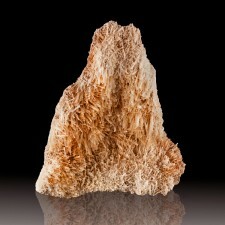 The p..
Mohawkite is a blend of copper and two other rare minerals: algodoite and domeykite. This polished n.. 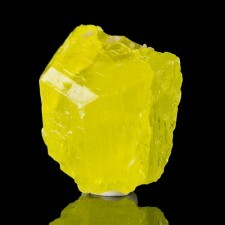 Here is a gemmy yellow sulfur crystal from the famed Cianciana mine in Sicily. Since the mine closed.. 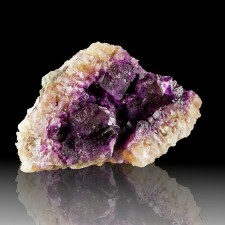 Here is a specimen of rainbow-colored fluorite which has been shaped and polished into a double term.. 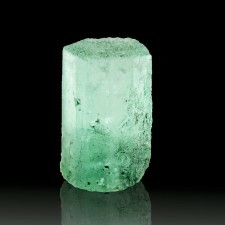 This gem clear emerald crystal features a very sharply formed hexagonal shape. It has a flat, smooth..